Comminuted fracture of the right iliac wing and body of the iliac bone. 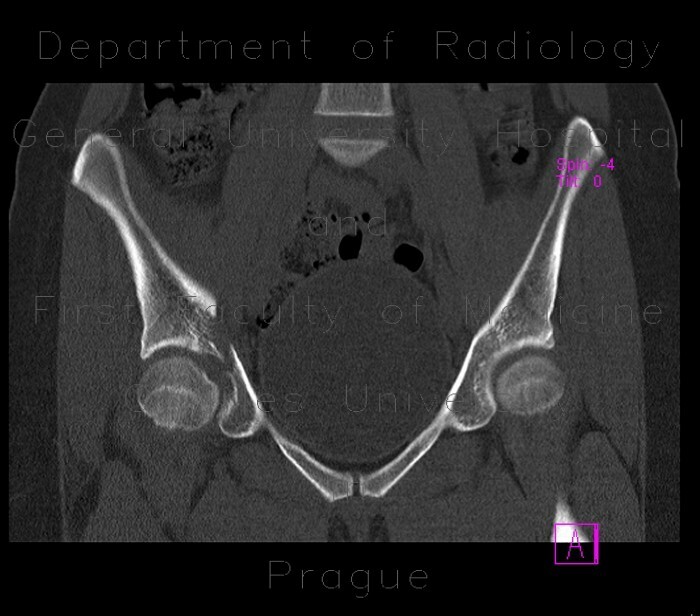 Fracture lines extend into acetabulum. Mild distraction of fragments caudally.